It is with immense pleasure to announce that we (Proceed Group) have expanded our horizons in the Asia Pacific, making way to become a true global player in ERP Data space. 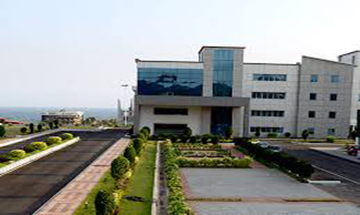 Our new premises reside in the port city of ‘Visakhapatnam’ (Also known as VIZAG) The Jewel of the East Coast in India. Inline with our CEO & Chairman’s vision, our new Indian Delivery Centre (IDC) will be inaugurated formally by Mr Nick Parkin Managing Director and Co-Founder in February 2018. The IDC will serve as an Offshore Development Centre, which will serve both our customers and partners who span across USA & Europe, offering services in the R&D space. A Centre of Excellence (CoE) is also planned in IDC, with a Competency Centre across niche skills including, SAP HANA, ILM, SLT and Accelerate for SAP ILM Legacy System Decommissioning. To meet the needs of our customers’ the recruitment of highly skilled SAP Consultants is currently in progress.